Soooo, for real ?, all right, let's start this thread. As we all know, hosting cities are now free to add a certain number of extra sports and events to the olympic program. Only the 37 IOC recognised federations can apply for inclusion. For Tokyo, 26 of them applied, 7 were then short-listed, and finally, 5 were chosen (skateboarding, surfing, sport climbing, baseball/softball & karaté). As of today, the parisian commite has tried its best not to close the door to anyone (from E-sport to Pétanque). We are yet to know what will be the exact schedule of the bidding process, but apparently, the additional sports will be known by 2019. 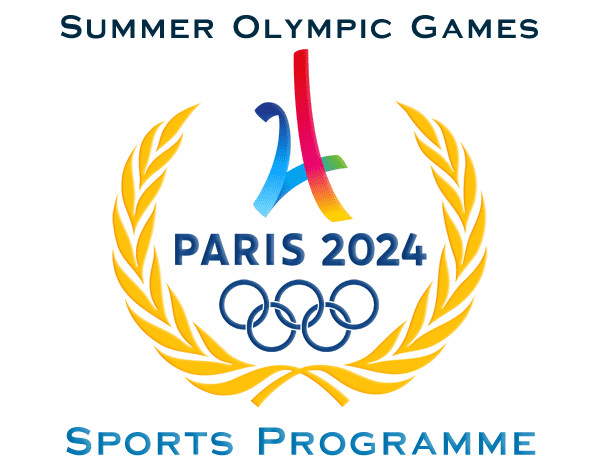 Not directly linked to the host, we can also expect the olympic program to move further into a more "youth and urban" direction. Gender equality is also likely to be pushed even futher. - Squash (7/10): Cheap to stage and possibly set in any iconic Paris landscape, good enough medal chances, french president of the world federation (can't hurt),. Should be considered as a lock too, but it's squash and the Olympics, so you never know. Outsiders: Skateboarding, Esport, Baseball, Speed Roller, Wakeboarding, Pelota basque (I wish...). If one can't exclude anyone from the race at this point (who would have thought of skateboarding for Tokyo ? ), these sports are by far the most likely to be chosen. Skateboard can't leave the olympic program, will be, probably, 6 or 7 medal chances for us. Now, frankly, I do not understand how a sport in which at least 70% (may be more) of the medals go to only two countries (USA e Brazil) was accepted in the Olympics. Now, frankly, I do not understand how a sport in which at least 70% (may be more) of the medals go to only two countries (USA e Brazil) was accepted in the Olympics. Where can I sign for Basque Pelota? I'm basque so I would live for it cause it's our national sport, but honestly, don't think it has realistic chances. They didn't even try for Tokyo 2020. Also I hope they staged surf in Biarritz, I live really close and would be awesome to have the chance to see an olympic competition. Apart from Surf and the utopia of Basque Pelota, I'm rooting for Sport Climbing (I'm so hyped about this event in Tokyo, would love for it to have continuity in the games), and Roller Sports (I' a simple dude, I love races where one comes first and other came last, and they can also add Skateboarding there) and even Boules Sports (They are staged at Mediterranean and Commonwealth games, and they offer something new). Personally I don't like Squash and I don't want another contact sport like Karate, but they are big and make sense in the games. Also I hope they don't add another team sport. If Weightlifting gets out, they had a lot of quotas and events to be designated. So it could be fun. Once Tokyo was chosen. It was quicly forgotten (there was a fronton 2020 world championship near Bordeaux in 2013 and then a whole bag of nothing). This time, it's like they don't even care. “We have to continue to participate because this is a great category. It won’t be in the Olympics in Tokyo 2020, but maybe in 2024, for the next edition, it could come back. I agree with @De_Gambassi‘s predictions. I’m not too sure about surfing since it’d have to be held awhile outside of Paris (or, god forbid, indoors) and it’s not quite as popular in France as Karate or Sport Climbing, so maybe I’d say 5/10. Boules, well, it’s hard to think of a sport that’s LESS youthful! But yeah I think it has a shot. It’s still popular and appears to have a strong campaign behind it. Cricket (6/10)- Is the third most watched sport in the world behind football and baseball. Has a huge global presence, not just a Commonwealth game anymore. Would give the Games a huge new audience from eg. the Indian subcontinent. Also there is a historical link (France would be the defending silver medalists from 1900 ). Pretty attractive to watch and can be staged on most existing sports fields. BUT there is some opposition in the ICC so uncertain if they will bid. Cricket seems to evade Games (only at Commonwealths once and Asian Games twice before). Plus it would be odd organizing the UK/Ireland/West Indies teams. And there probably wouldn’t be much popularity among French spectators. Billiards (3/10)- France has a traditional version, Carom, which could be held alongside less known events such as Snooker. Snooker has a huge global audience as well. Nothing preventing the best players from showing up. Is unique, both a precision and strategy sport, which the Summer Games does not have. Easy to host, too. BUT has many of the problems boules has. Slightly better image but still considered more of a game than a sport. Plus lacks the base in France that boules has (though has a much wider world one). Snooker non existent there. Simply doesn’t have much up on boules at the moment. Wushu (2/10)- Only major traditional martial art to not be in Olympics so far. Has 144 federations, is cheap to host and fun to watch. Has applied for Games multiple times, said they’re ‘feeling optimistic’ about this year. BUT no tradition in France or indeed out of Asia. Karate would be much, much more successful on every front. I think those were all the seriously competing sports. Theyre also thinking of bringing back C2 in canoeing. They held a ‘mixed C2 event’ in Prague recently... don’t like that at all. If they can just develop it among women we can have two C2 events, maybe in time for 2024. Shooting 50m prone is most likely to return (some women shoot it). Double trap nearly impossible. 50m pistol is love to see back most- but no female equivalent. Maybe if women started shooting rapid fire pistol, they could get that event and men could get 50m. There will probably be women’s Greco Roman wrestling too. Last summer discipline to not include women. They said they’re working on it for 2024. Hope it’s rewsonably competitive though. The problem with all these new events is that non competitive ones are wastes of quotas. At least in the Summer Games. Also mixed synchronized swimming would be interesting. I think they’ll do it for sure. Not in Tokyo but that’s probably because it’s too new. It’s already at the FINA World Champs.